Fabulous fashion? Check. Expert planning advice? Check. Amazing reception ideas? Check. In our May/June 2019 “Best Buys” issue you’ll find everything you need to know to plan an unforgettable wedding — without breaking the bank. Plus, you can enter to win the stunning cover gown! Congratulations! You've found the partner of your dreams – now it's time to find the perfect dress. Wedding gown shopping can seem overwhelming at first. It helps to do your research and know what styles, and terminology, to ask for when you walk through the door for that first appointment. Here’s a quick and easy guide to breakdown the various wedding gown silhouettes, and for which body types they work best. Just engaged? Congratulations! 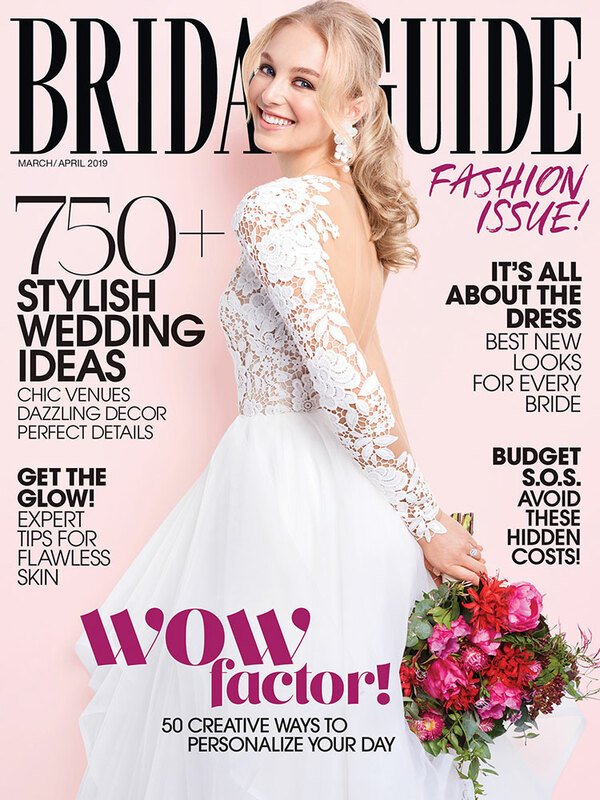 You’ll find everything you need to plan your big day with ease in our March/April 2019 issue: gorgeous gowns, expert planning advice and tons of inspiration for your wedding celebration. The 26-year-old singer of hits like “Close” and one-third of the Jonas Brothers, tied the knot with girlfriend and 36-year-old Quantico star, Priyanka Chopra, in a two hour Christian ceremony Saturday, December 1, followed by a traditional Hindu ceremony Sunday – with both families present, according to an US Weekly report. Congratulations brides-to-be! 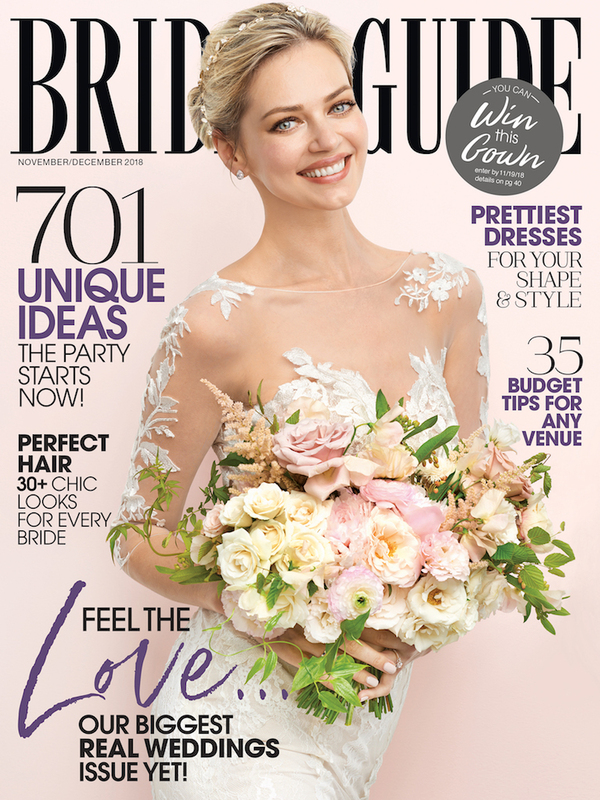 With a fabulous new year on the horizon our January/February issue is filled with the hottest new wedding trends for 2019. Quiz: What Is Your Halloween Bridal Style? Read more about Quiz: What Is Your Halloween Bridal Style? Get ready for major inspo and tons of creative ideas in our November/December 2018 “Real Weddings” issue! We selected some of the prettiest ceremony sites, table décor, cakes, flowers, and more from other couples’ celebrations to help you determine your own party style. Nick Jonas and Priyanka Chopra finally confirm their engagement in the most millennial way we know, with joint Instagram posts. The famous pair reportedly started dating only a few months ago, and after weeks of public speculation without a word from the couple, the two have finally announced that the rumors are true! After what would be known as two of the most powerful hurricanes in the U.S. Virgin Islands’ history, Lauren and Marty posed for an engagement photoshoot, with the remnants of the decimated island serving as their backdrop, photographed by fellow hurricane survivor and island resident, Anne Bequette of STJ Creative Photography. Future honeymooners listen up! There is no better time to treat yourselves to the trip of a lifetime than now. As a lifelong coach/economy passenger, I recently had an opportunity to fly Air France Business Class to Paris for a stay at Le Royal Monceau Raffles. The flight was a life-altering experience—how will I ever go back to coach? Read more about Take Flight…To Paris! Follow BridalGuide's board Must-Have Photos on Pinterest.